Throughout much of its development and early deployment, the Curtiss SB2C Helldiver was plagued with problems, delays and disappointments. It was disliked by aircrews and carrier skippers and dismissed by foreign governments, who cancelled their orders in droves. By the SB2C-4, the teething problems were largely ironed out, and the massive dive-bomber found its adherents. But you know what they say about first impressions. Originally initiated to replace the outdated SBD Dauntless, the first Helldiver prototype took to the sky in December 1940, a full year before Pearl Harbor. Despite that head start, it didn’t enter service until 1943, after the Grumman Avenger, which didn’t start development until two years after the Helldiver. Yeesh. 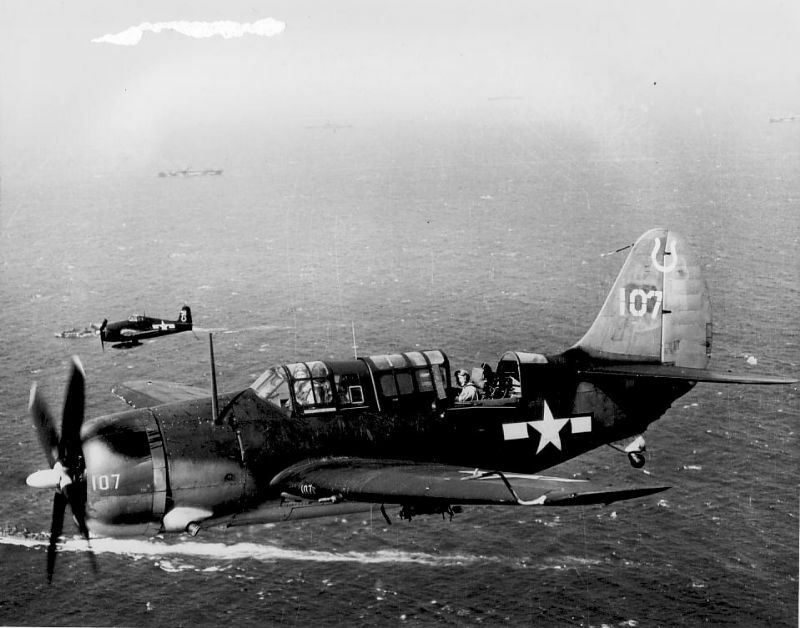 For all it’s bad reputation, the Helldiver participated in battles over the Marianas, Philippines, Taiwan, Iwo Jima, Okinawa, the Ryuku Islands and the Japanese home island of Honshu. It’s also the aircraft that finally sunk that titan of the seas, the battleship Yamato. Still, dive-bombing was a concept on the outs. High-performance fighters such as the F6F Hellcat and F4U Corsair could carry the same bomb loads and were infinitely better suited to fending off enemy fighters, and the advent of air-to-ground rockets offered precision strikes without the massive stresses of nearly vertical dive-bombing runs. Little wonder, then, that the Helldiver was the last of its breed. Monogram originally released its 1/48 SB2C-4 Helldiver kit under the ProModeler brand back in 1997, so it’s not new, but it’s not vintage Monogram, either. That means it’s got engraved panel lines, a detailed cockpit, and solid-if-not-2012-standards fit. The kit was released again in the early 2000’s by Accurate Miniatures, and recently re-released by Revell, again under the ProModeler brand. For the $20-30 it costs, I’d place it right in the middle of the value spectrum. It’s not the screaming deal of a $15 old-mold Revellogram or the brand-new, larger Revell PV-1 Ventura, which you can snag for around $33. 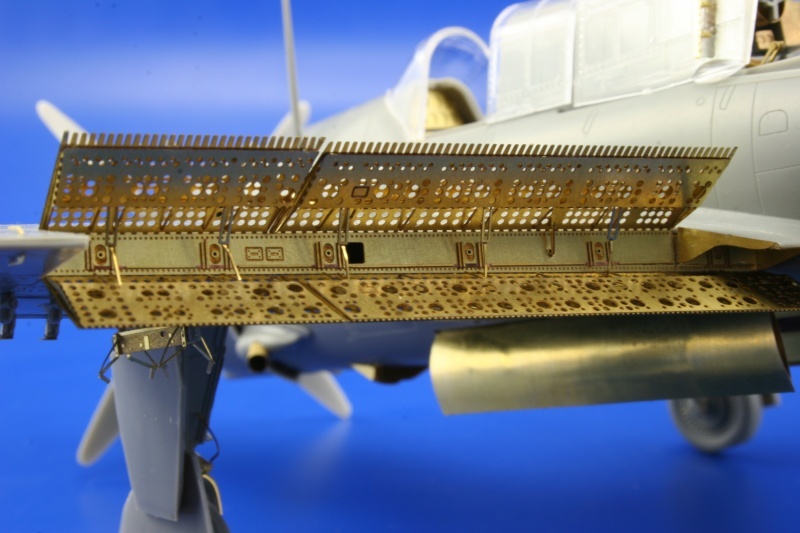 Nor does it pack the detail of, say, Tamiya’s P-47 Thunderbolts (which can be snagged for around $30). Then again, the Helldiver is a BIG aircraft, easily dwarfing my current paint mule, Tamiya’s Ki-84 Hayate (aka “Fail Frank”). In terms of aftermarket, I’ve decided to spring for four things. First, Eduard’s mask set. With the sheer amount of greenhouse, this seems totally reasonable. Next, Eduard’s ZOOM interior set, which includes the basics like the instrument panel, harnesses, and a few bits and bobs. Third, Eduard’s dive flaps. The kit includes some basic photo-etched dive flaps, but they’ve got nothing on Eduard’s offering. Fourth, I’ve splurged on Victory Productions’ Helldiver decal sheet, which contains a truly staggering number of markings options. At the moment, I’m leaning toward a late-war overall sea blue scheme, perhaps that of VB-85 from the USS Shangri-La. Fair warning, progress on this one may be slow as I dive into the 1/32 HK B-25, but it will be the main side project for the time being. More to come! Next Post Hurry Up, FedEx! Love the SB2C, despite it’s dodgy reputation. I’ve been contemplating getting the kit and will be following this build with great interest. Really nice work on the Ventura, too. have just buit an airfix helldiver and seen your site, iv,e just got back into the hobby after 47 years. I just painted mine [not happy with it I don’t have an airbrush yet. mail back with pics of finished model.